Home How To How to Add Contact Us Page(Contact Form) in Blogger? How to Add Contact Us Page in Blogger: If you have a Blog in Blogger then you must need a Contact us Page to give your readers the opportunity to communicate with you. Blogger has their own Contact Form Widget available in the Blogger’s default widgets. But these are not good looking or attractive to use it. So today we will learn how to create custom contact form for blogger. First of all, you need to add the blogger contact form widget on your blog. This will enable the functionality of the contact form. So what to do? -Go to your Blogger Dashboard/ Overview. -Select Layout section from the menu. -Click on the Add a Gadget on Sidebar. -A popup will show & click on More Gadgets. -Click on the Blue Plus Button on the Contact Form Gadget and then Save it. Now you have successfully added the Blogger Contact Form Widget on your blog. The next thing is to hide this default blogger contact widget and make it more stylish contact form in a static Contact Us page. To hide default Blogger Contact Form you have to follow these steps. 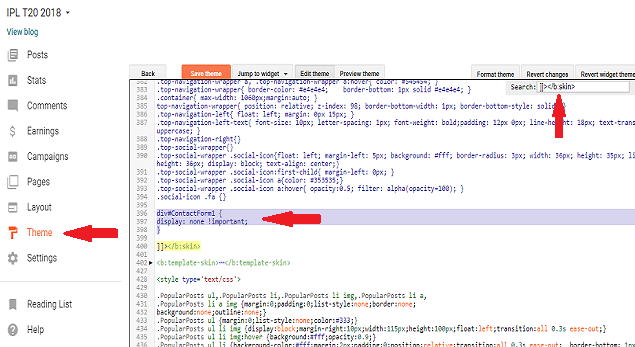 - Click on the Template menu and go to the Edit HTML button. - Now tap on the HTML area and press ctrl+F button on the keyboard. - A search box appear, here you type the code: ]]></b:skin> and hit Enter. - Now just paste the small CSS code just above this ]]></b:skin>. - Save your template and you are done. Reload your blog and you will see the default contact widget disappears. In the HTML area search for </head> tag. Copy the code below and paste it right above the </head>. Click on the Save Template button. Now finally you can create static Contact Us page for the blogger. For doing this, we must create a contact us page on our blog. - Go to the Pages section and click on the New page button. - Fill up the Page Title with Contact Us/Contact and click on the HTML tab. 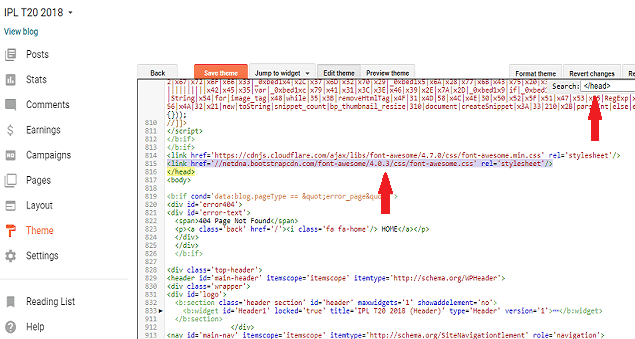 - Now copy the following code and paste it into the HTML mode of the page. - Now go to the Options. Select Readers Comments Don’t allow, hid existing. Click on the done button. - Publish the page and you will see this type of contact form on your blog. 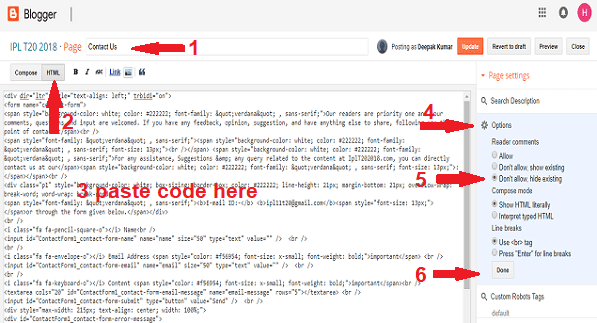 This is how to Add Contact Us Page in Blogger on your blog. In my case, these forms are working fine. If your one is not functioning properly, then please let me know through the comment. If this is helpful for you, then please don’t forget to share this with your friend. it's really wonderful article, i implemented this one on my blog site. Make sure correctly implemented the whole thing. Other wise do the full process 2nd time. please send your whattsup No. Thanks brother you helped me alot..